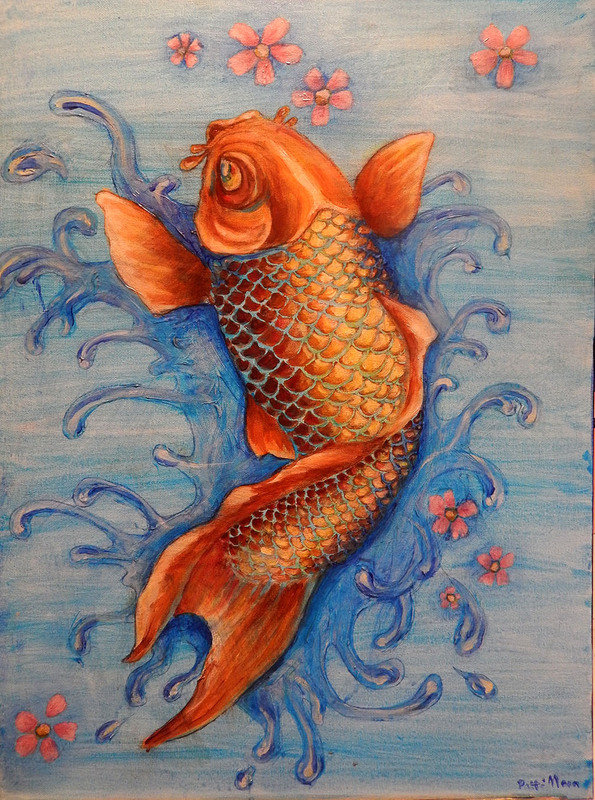 “Tattoo Koi”, 18×24″ acrylic on stretched canvas, sides painted. $145. Shipping not included.